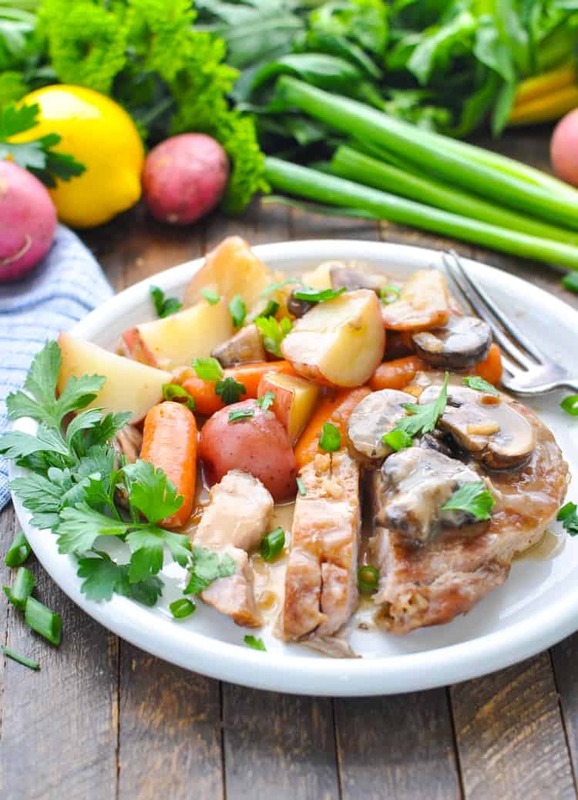 A delicious one pot dinner made with juicy and tender pork chops, perfectly cooked vegetables and a flavor packed mushroom gravy! This is a one pot dinner that will warm you from the inside out! 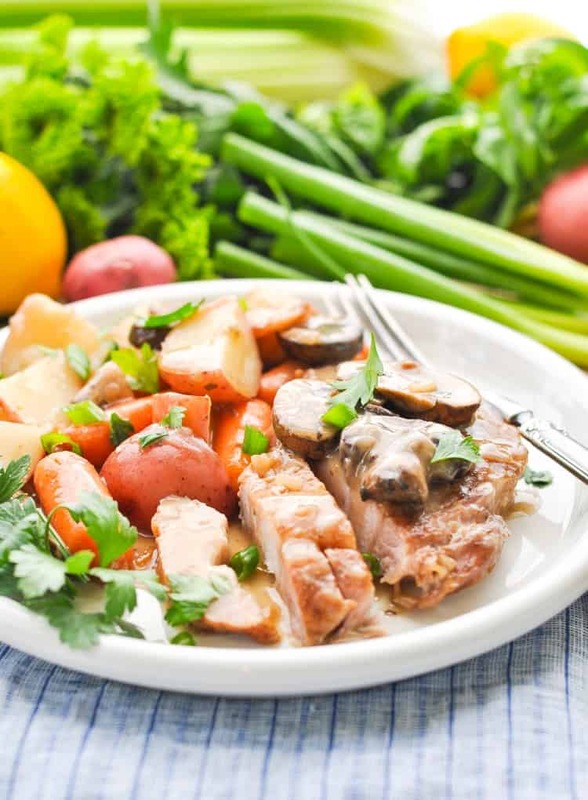 The tender and juicy Slow Cooker Pork Chops with Vegetables are coated in a creamy mushroom gravy for the ultimate cool weather comfort food! I know I say this all of the time, but it’s honestly true: one of my favorite aspects of maintaining this blog are the relationships with readers like YOU! I love sharing my recipes and ideas, but I love hearing from you guys, learning from you, and listening to your ideas even more. You are all so inspiring, you have so many wonderful stories, and I truly value the connections that we make when you send me an email, leave me a comment, or reach out on social media. 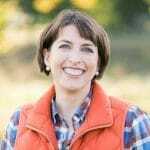 During my live 5-Day Meal Planning Challenge back in August, we had a wonderful closed Facebook group where I could work with the challengers on a daily basis to share recipes, ideas, and solutions with each other. 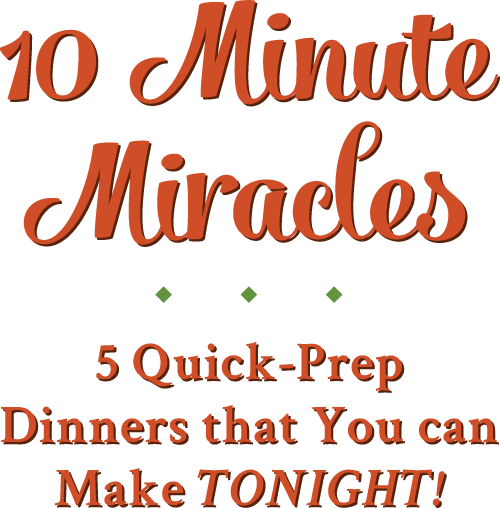 As usual, I received SO MANY amazing quick-prep dinner ideas from these ladies…and they even gave me permission to share their favorites here on the blog. If the dinner was good enough for Barb’s son’s special going-away meal, then I knew that it must be a keeper! The original recipe that Barb used was from Taste of Home, but I have used Barb’s changes and my own adaptations here. The end result is a pot full of GOODNESS! 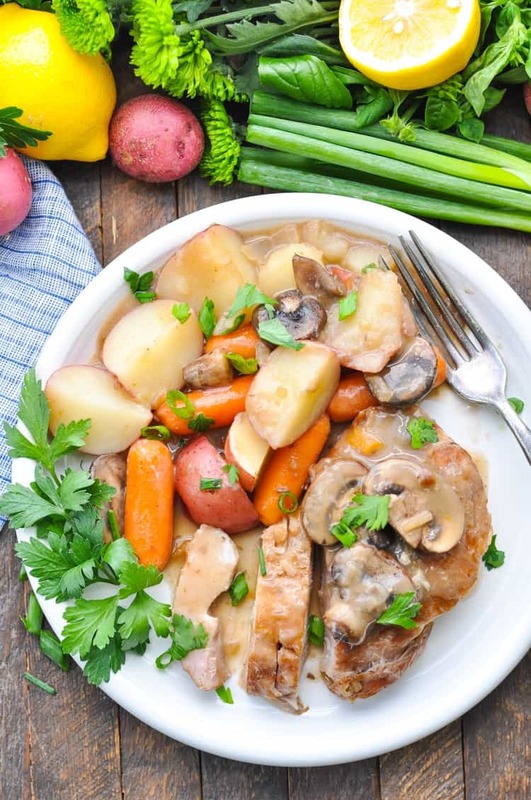 Instead of dry, over-cooked meat, you’re treated to tender, juicy pork chops, flavorful veggies, and a rich, creamy gravy. I can see why Barb’s son enjoyed this last bit of home-cooked comfort before returning back to duty! 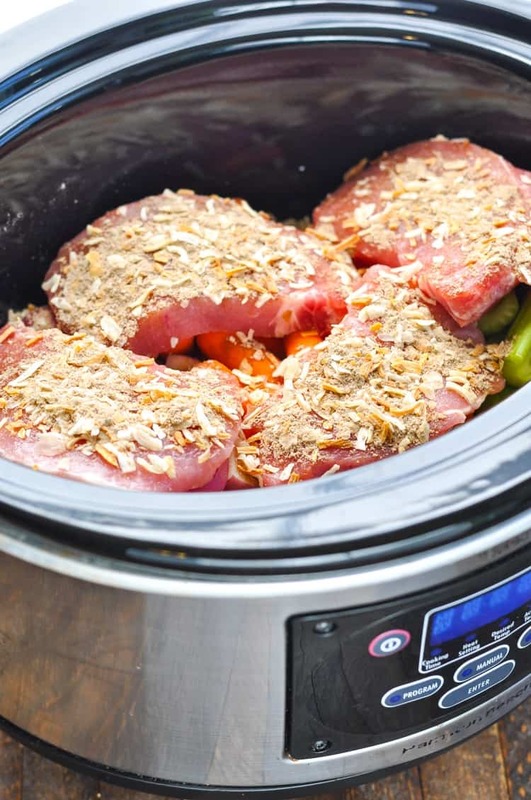 The key to creating tender, juicy, and delicious slow cooker pork chops is all in the layers! So much flavor goes into this pot, starting from the bottom: red potatoes, carrots, and celery. and are seasoned with dry onion soup mix. Spices that go right into the pork and into the gravy as it simmers! and finished it off with two cans of condensed cream of mushroom soup. I know that it looks like a very thick “sauce,” but the moisture from the vegetables and from the cooking process thins the soup and creates a perfect gravy at the end. Barb mentioned that she likes to double the recipe to feed her hungry Marine, but she uses just 3 cans of the soup for her double recipe (instead of 4). If you have a large crowd to feed (and a very large Crock Pot), then this would be a great solution. 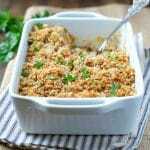 A balanced, wholesome, and comforting meal could not be easier! Everything is done at the end of the day, just when your family is ready to sit down at the table, enjoy some time together, and indulge in a satisfying dinner. Thanks to Barb, to her son (for his service to our country), and to all of my other readers that bring me incredible inspiration on a daily basis! “Sharing is caring,” and that’s what this is all about. After 3 hours on HIGH in my slow cooker, the potatoes were perfectly tender and the carrots were “crisp-tender,” which is how we prefer them. Barb mentioned that she chops her carrots and potatoes in her food processor before putting them in the Crock Pot because that way they turn out very tender. She also cooks her pork chops on HIGH for 2 hours and then on LOW for an additional 2 hours. 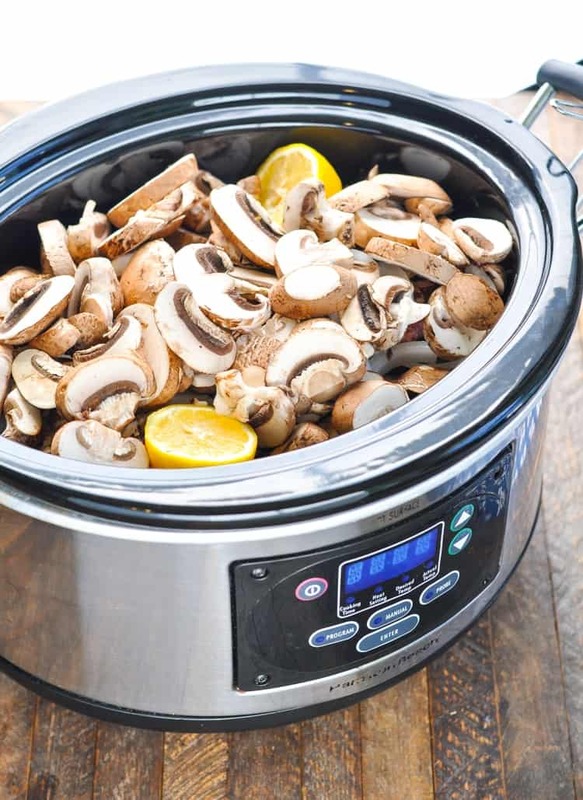 Every slow cooker cooks at a slightly different temperature, so you just have to get to “know” your Crock Pot and figure out if it cooks hotter than others. 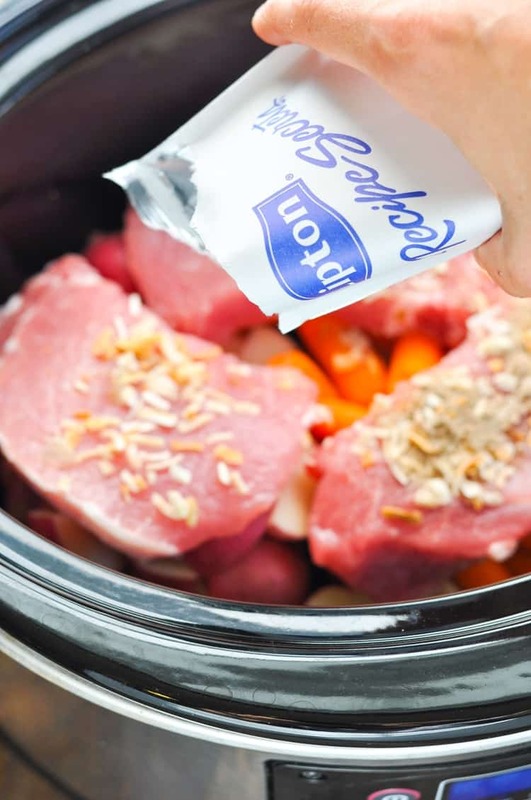 Keep an eye on your meal the first time it cooks and turn it off when your veggies have reached the desired tenderness and your pork is cooked through. 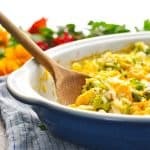 Feel free to add other veggies such as broccoli, cauliflower or squash. 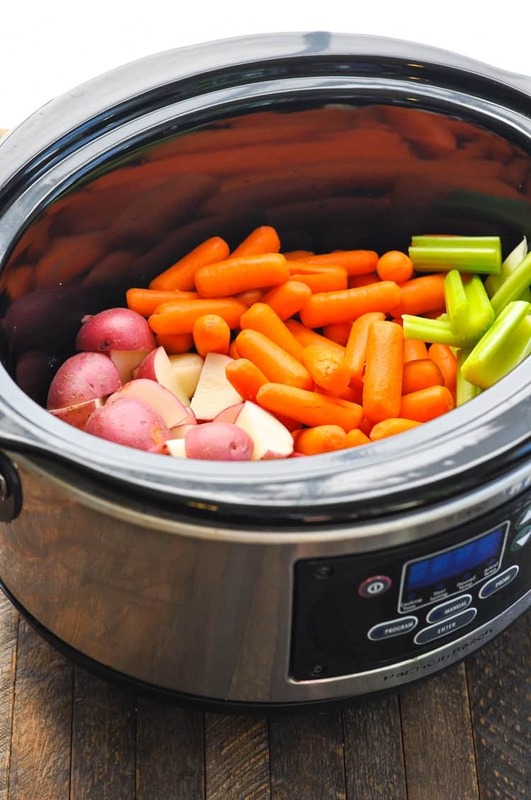 Place carrots, celery, and potatoes in the bottom of a large slow cooker. Top with pork chops. Sprinkle dry onion soup mix seasoning over the pork chops. Add lemon, mushrooms, and onions on top of the pork. Cover with cream of mushroom soup (not diluted). 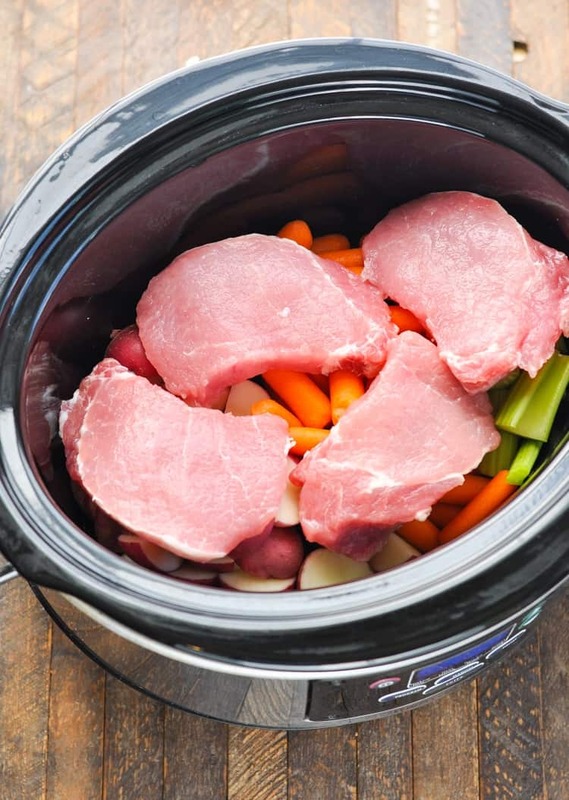 Place the lid on the slow cooker and cook on LOW for 6-8 hours or on HIGH for 2-3 hours. After 3 hours on HIGH in my slow cooker, the potatoes were perfectly tender and the carrots were "crisp-tender," which is how we prefer them. Barb mentioned that she chops her carrots and potatoes in her food processor before putting them in the Crock Pot because that way they turn out very tender. She also cooks her pork chops on HIGH for 2 hours and then on LOW for an additional 2 hours. 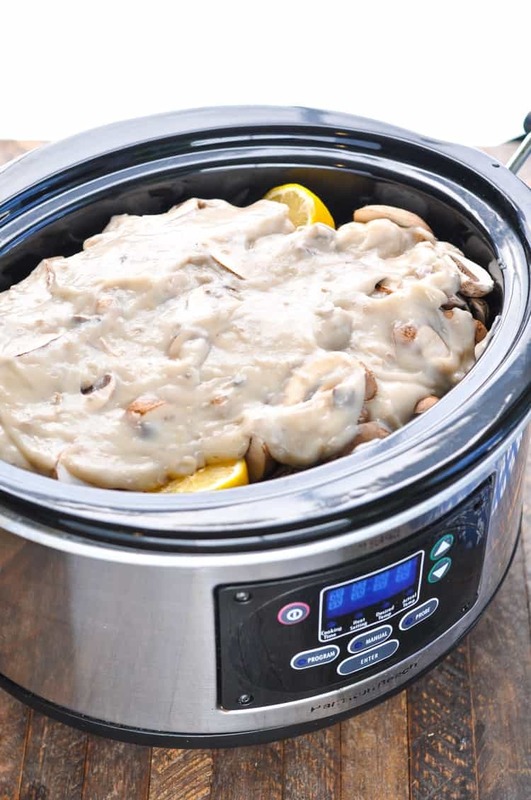 Every slow cooker cooks at a slightly different temperature, so you just have to get to "know" your Crock Pot and figure out if it cooks hotter than others. 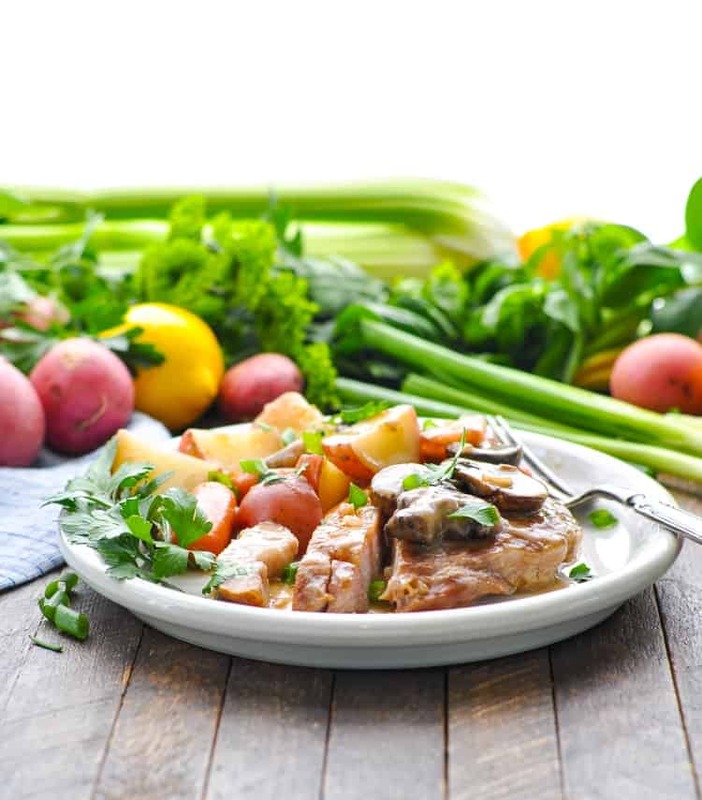 Nutrition Information listed for these Slow Cooker Pork Chops includes all of the vegetables and all of the gravy in the pot (as well as a large pork chop). In reality, that’s a very large serving and you likely will not consume all of the sauce and veggies in one serving, so nutritional information will vary. 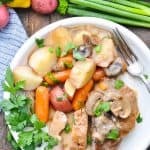 This is just the kind of slow cooker meal that I love! It’s so perfect to use this time of year, especially during busy weeks or on the weekends. I love all of the veggies in here, especially the mushrooms. I’ve got to try this recipe! Looks fantastic! Thank you, Gayle! Yes — I hope that you’ll try it soon. It’s a keeper! Do I squeeze the lemon? 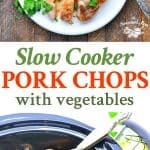 This is my favorite kind of slow cooker meal, along with a beef or pork roast. So much flavor and great anytime of the year. Hi, Joanne! You’ll love this easy meal! 🙂 Hope you get to try it soon! This does look yummy and will be on my menu in a week or so. Thank you for sharing. I’m glad Barb inspired this dish as it looks amazing! I’ll have to try it soon! Making it right now. Been cooking about 4 hours and smells yummy. I wonder if instead of cream of mushroom soup you could use the same amount of Golden mushroom soup. 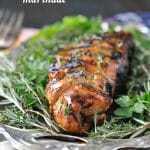 I have another easy recipe using Gokden mushroom and it blends well with pork chops. Hi, Linda! Yes, I think that you could definitely use the golden mushroom soup, too. The gravy would taste a bit different, but I’m sure it would still be delicious! Do you have a dairy free idea? I have to stay away from dairy while nursing my baby. Maybe just use a few cups of chicken broth? Hi, Cindi! You can definitely use chicken broth and it should come out fine as well — it will just have a different consistency. There won’t be any “gravy” because the liquid will not be thick, but the taste will still be good (and you could even heat up a store-bought gravy in a pan on the stovetop to serve with it if you can find a dairy-free option). You don’t want to add too much liquid to the pot, since the condensation from the cooking process and the natural liquids in the veggies will be released and held in the pot. I would start with about 1/2-cup to 1 cup of broth or white wine (or a combo of both), and you can always add more towards the end of cooking if you think it needs more. Ok so I followed this recipe to the T! Except unfortunately my husband doesn’t care for mushrooms. an hour! My question is? I scrape it off a bit and stir it into the vegetables?? To melt into the bottom? You can tell I’m not used to using the slow cooker! I made this today and I am so pleased with how it turned out. 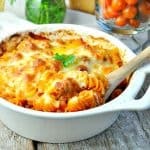 I will definitely be keeping this recipe and making it again! My husband doesn’t like mushrooms so I have to alter the recipe a bit. Do you think cream of chicken will work as a good substitution for the cream of mushroom? If my porkchops are thinner can I put them in frozen? Made this today It was good except for the lemon taste. I would suggest leaving out the lemon!